The page lists the latest version as 2.0.1.24 but the file is 2.1.0.24.
fixed, thanks. file number is accurate. Hey! Glad to see you're up and running. May I suggest in short words if you would kindly add functional Thorns I and II enchantments to work with the armor, and other armor enchantments like Fire Protection? If this is not too much, can you also add a functional mending mechanic for the armor (ex The dog "absorbs" the Xp and the armor heals)? Any plans to improve compatibility with Sophisticated Wolves? As for wolf armor it is partially compatible with it. Sophisticated wolves can wear armor and chest with items, but it will not be rendered on them. Also all items in wolf chest(not chest and armor) will be lost if you'll try to convert it in sophisticated wolf or place it in the pet carrier. I hope it will be fixed soon. 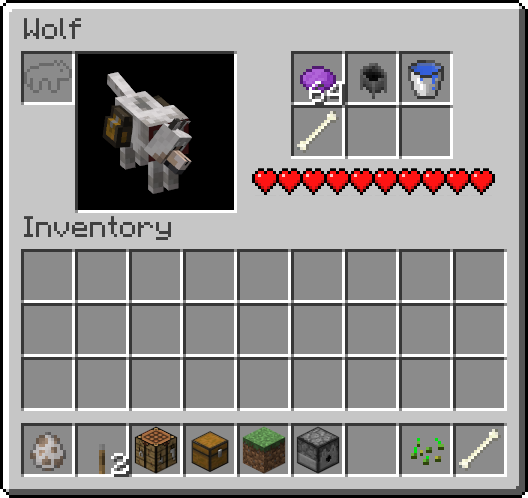 Can you add a recipe for obsidian armor for the wolf in conjunction with the obsidian armor and tools mod or is it possible to do it in the config file located in .minecraft ?????? Is this compatible with Sophisticated Wolves on 1.12.2 builds? Yes. The chest and armor doesn't render on sophisticated wolves but they do accept chests and armor. So i was wondering if there would be an integration with using Metalls/Gems from other mods to make new Armor Types for the Dog. 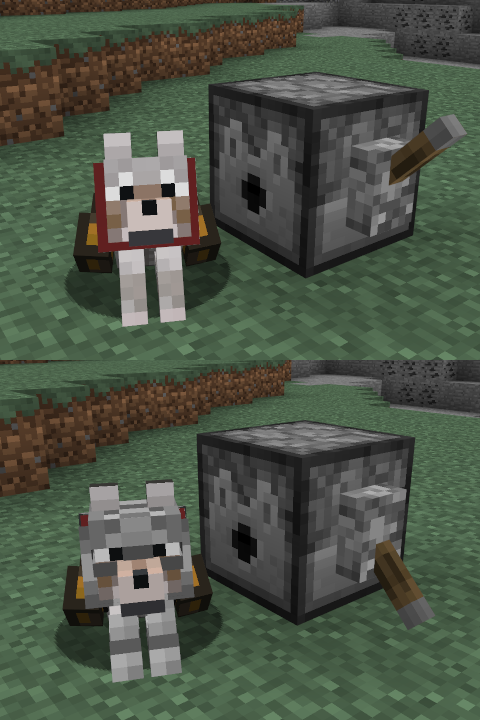 I have Doggy talents on Wolf Armor installed on my 1.12.2 modpack. And It appears as the two mods don't correspond together, I'd love to see compatibility! 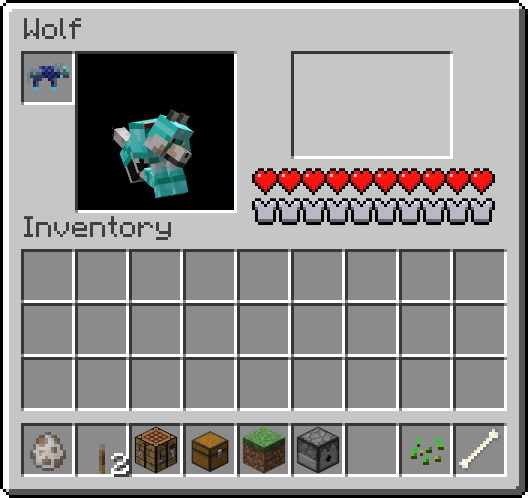 I am using the 1.12.1 Beta version; wolf armor can be found in chests, but is not craftable. 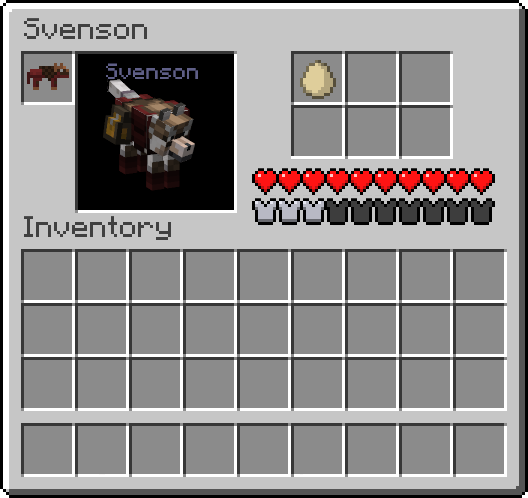 Also, the inventory feature is not working. It's supposed to be, but it appears to be very broken at the moment... I'm going to attempt to fix a lot of the sync issues and disrespecting client/server boundaries in the next build. I was coming here to report this, but you've arrived before. Anyway, looking forward for a fixed build for servers! OK, now it should be working in 1.12.1-2.1.0.14-ALPHA. End of week will have a stable 1.12.1 release, with a 1.12 branch immediately afterwards. Apologies for the delay; IRL stuff took up a lot of my free time for the past few months.